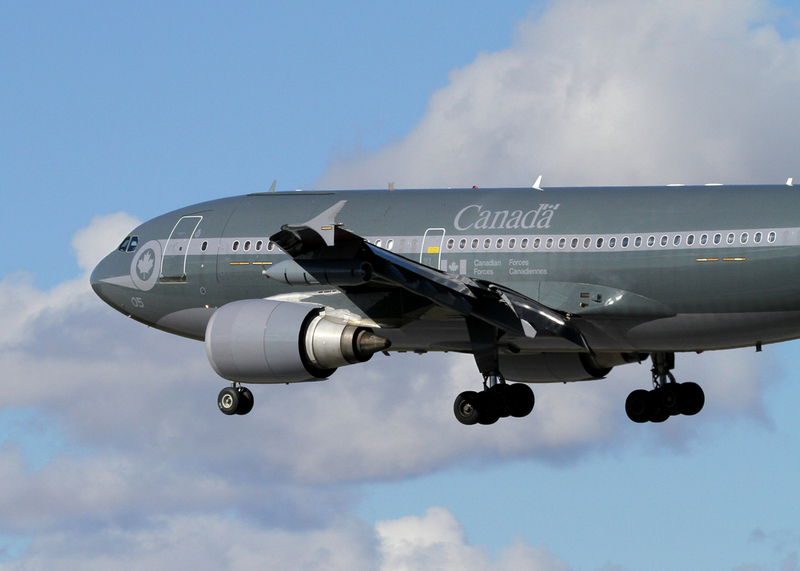 The largest aircraft ever to serve with the Royal Canadian Air Force is operated by 429 “Bison” Transport Squadron, a global airlift squadron based at 8 Wing, CFB Trenton, in Ontario. 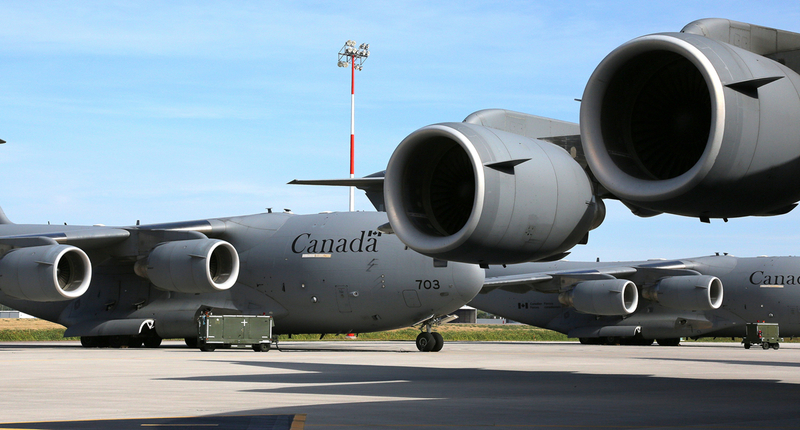 This high-wing, four engine, T-tailed, wide-bodied airlifter, is designated as the C (Canada) C (Cargo)-177 Globemaster III by the RCAF, and fulfills Canada’s long-standing need for a strategic airlift capability to support humanitarian and military operations around the world. 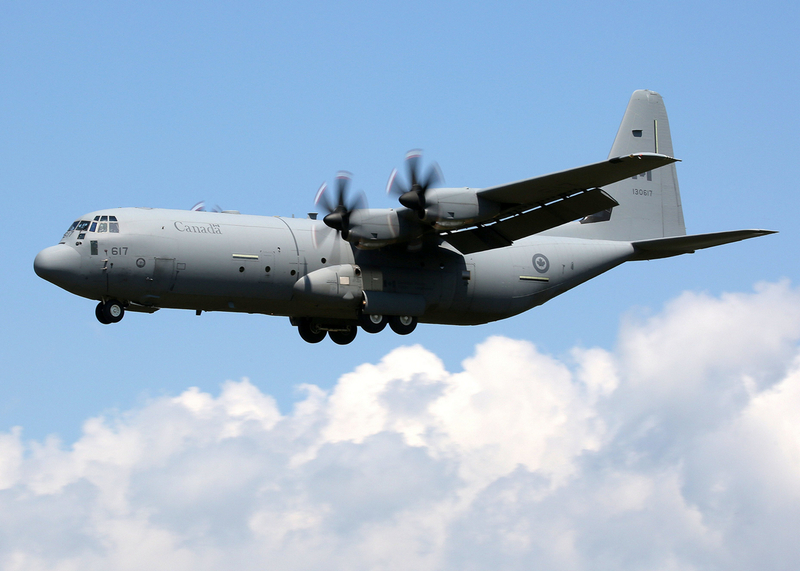 From their central location in Canada, these aircraft can be quickly deployed to transport cargo, troops, and oversized combat equipment rapidly from coast-to-coast-to-coast and anywhere else worldwide. 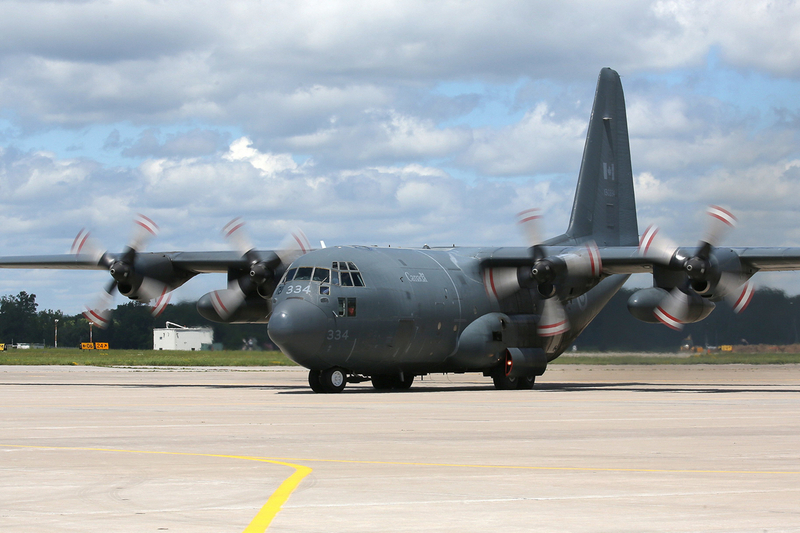 The CC-177 is a high-wing, four engine, T-tailed strategic airlifter. The wide-bodied CC-177 transporter carries cargo, troops, and oversized combat equipment. 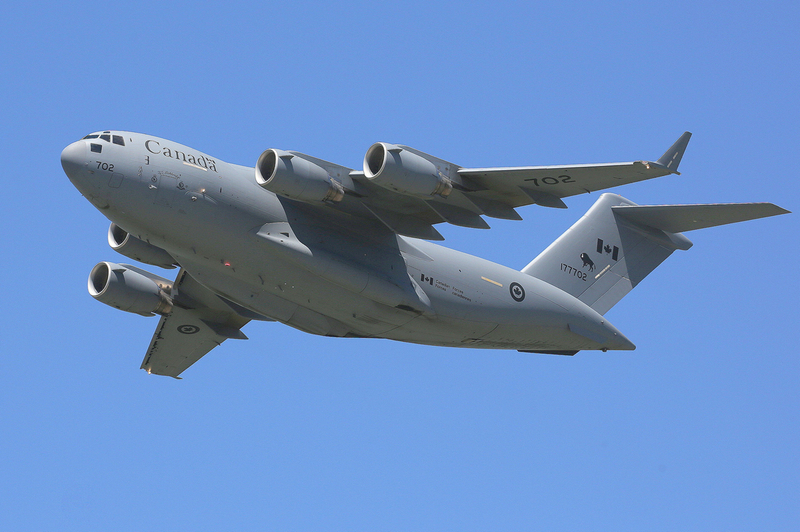 The Globemaster III can take off and land on unpaved runways as short as 1,067 metres (3,500 feet) and as narrow as 27.4 metres (90 feet) by day or by night. 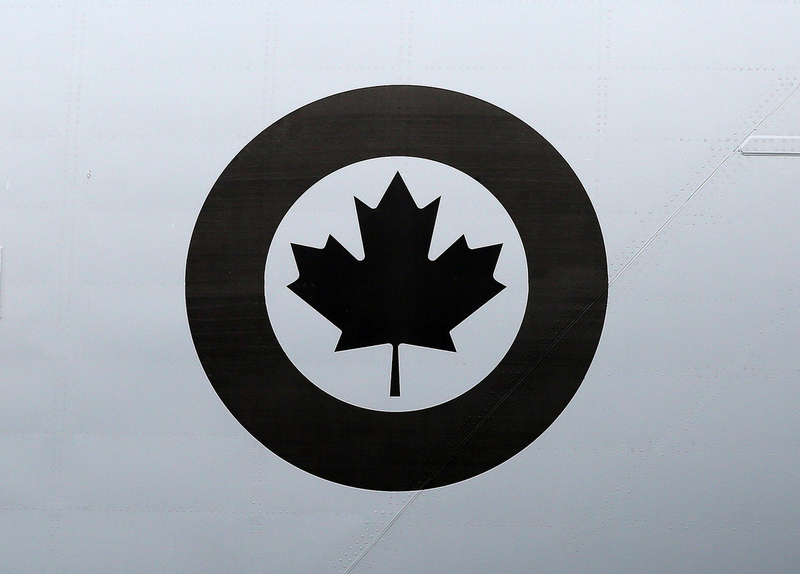 429 Transport Squadron is one of four squadrons attached to CFB Trenton and was originally formed as an RCAF bomber squadron attached to RAF Bomber Command during the Second World War. 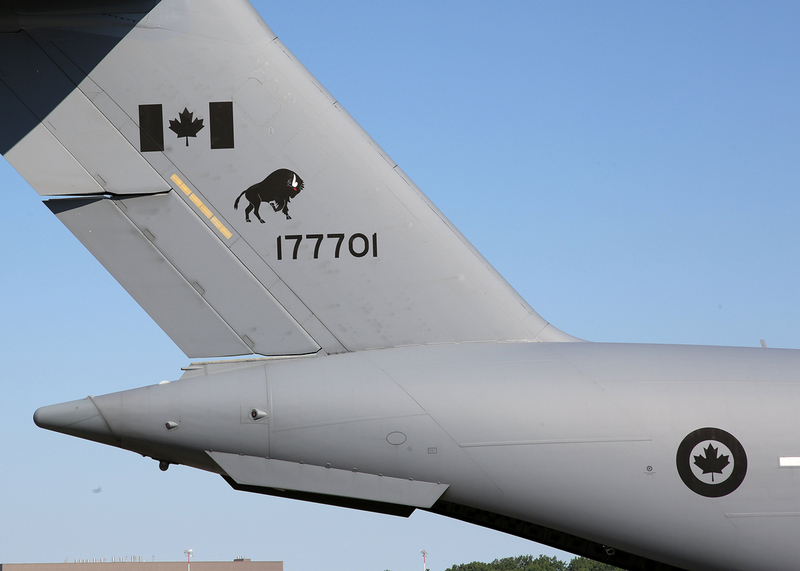 In August 2007, 429 Squadron was re-activated to operate the CC-177 Globemaster III strategic transport aircraft. 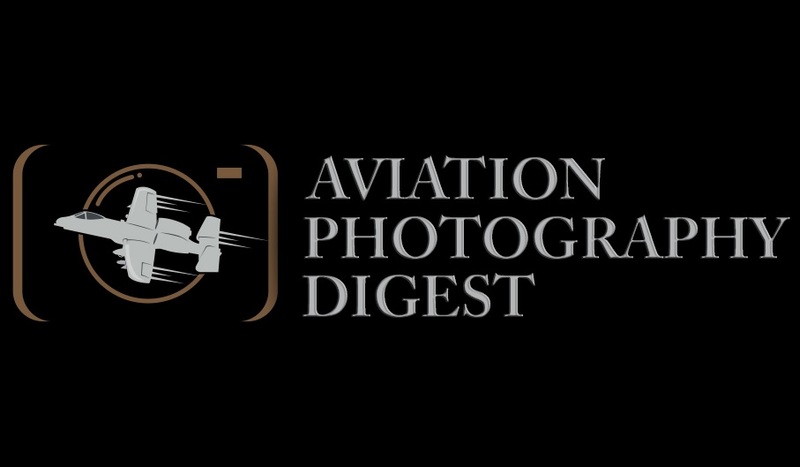 Recently, Aviation Photography Digest (APD) was invited to spend a day with the “Bisons” at CFB Trenton to view and experience some of the squadron’s tactical training flights and to discuss its various air transport missions in support of the Canadian Armed Forces global and domestic operations. 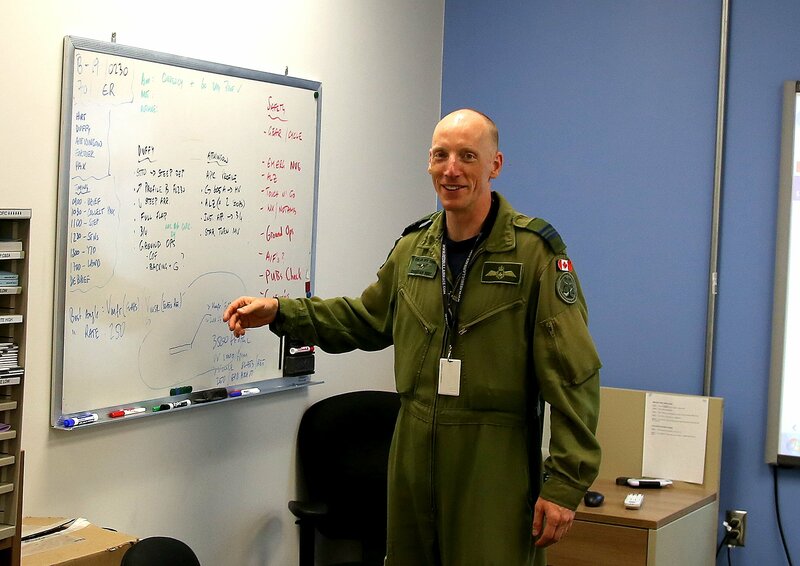 The day’s visit began in 429’s briefing room where Maj. Christian Hirt, a member of the Transport and Rescue Standardization and Evaluation Team (TRSET), was reviewing the day’s flight training schedule with Maj. Shawn Duffy, Capt. 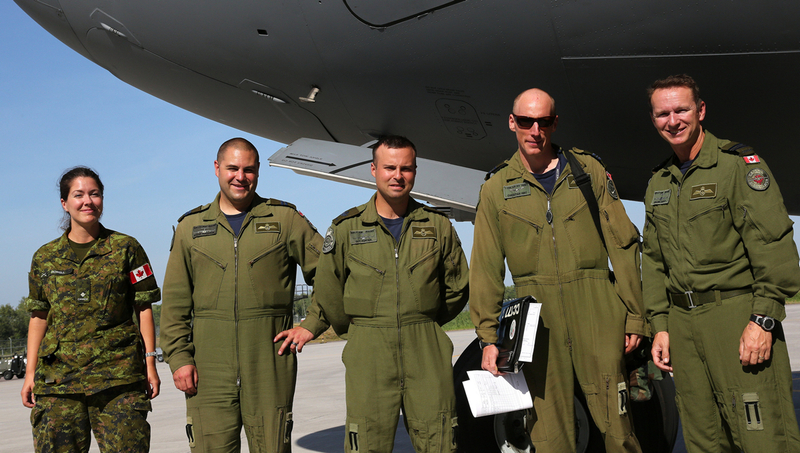 Steve Atkinson and loadmaster MCpl. Guy Fortier. Both of these experienced pilots were each slated for a series of steep tactical descents and landings, maximum performance static take-offs, and tactical ground manoeuvers. Maj. Hirt reviews the day’s flight training schedule. 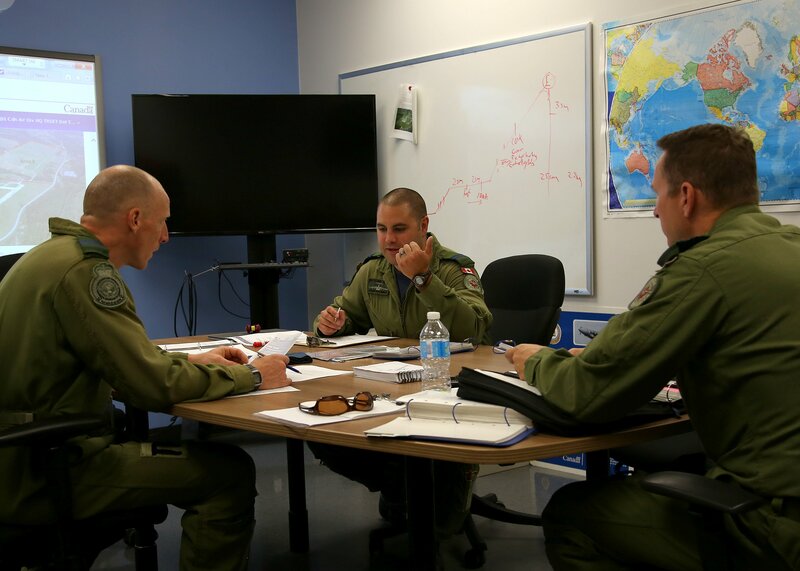 Maj. Hirt briefing Maj. Duffy and Capt. Atkinson on the training mission. 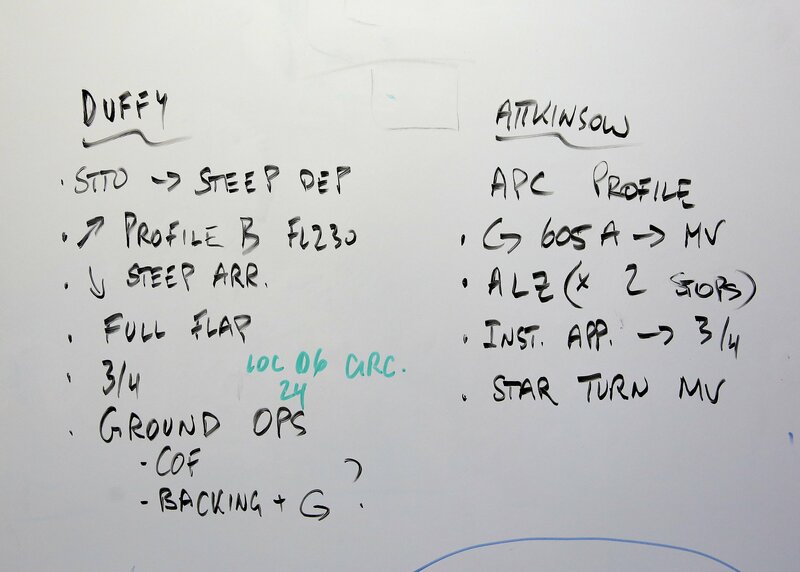 The flight training mission profiles for each pilot. When the briefing was over, the aircrew boarded the waiting CC-177 (177701) for the afternoon mission and the pilots immediately completed a pre-flight cockpit check of the various systems, to ensure they were operating normally, while the loadmaster made sure everything was secure in the cargo hold. The massive size of this airlifter was clearly emphasized when Maj. Hirt, the Aircraft Commander, stepped outside to inspect the aircraft’s control surfaces, pitot tubes and pitot static ports, landing gear, tires and turbofan blades, and was literally dwarfed as he walked around the four-engine behemoth. 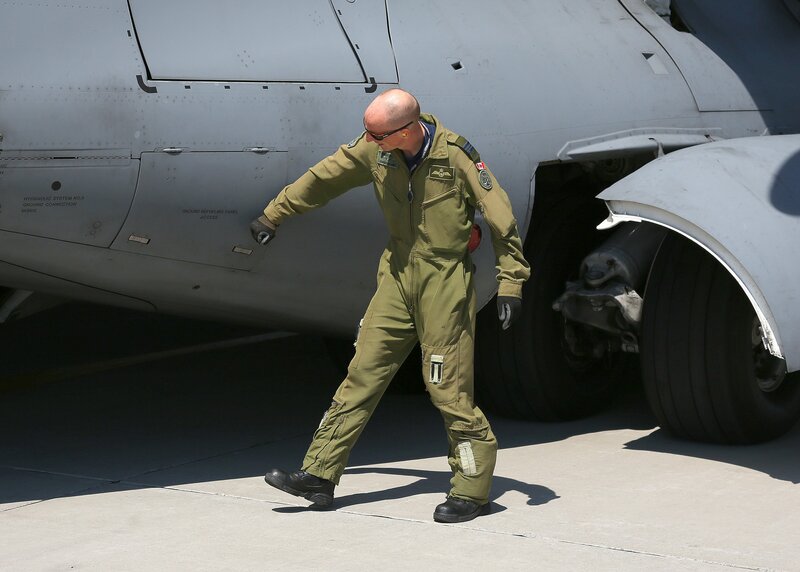 The aircraft commander, Maj. Hirt, inspects the landing gear of the CC-117 during his pre-flight walk-around. As he checks the condition of the turbofan blades, Maj. Hirt is literally dwarfed by the size of the airlifter. 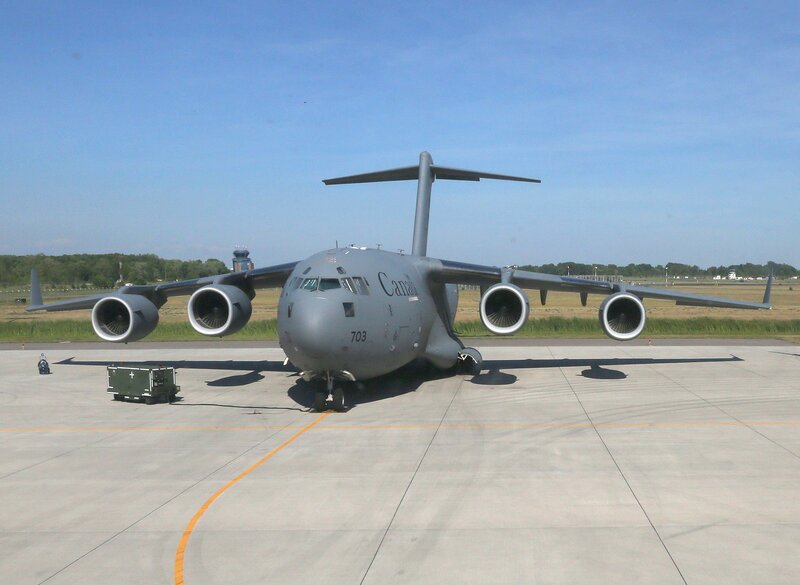 The CC-177 is designed to operate from unpaved, unimproved runways as short as 3,500 ft (1,064 m) and as narrow as 90 ft (27 m), with certain weight restrictions. However, with its maximum gross takeoff weight of 585,000 lbs (265,352 kg) it would require 7,740 feet (2,359m) of runway. 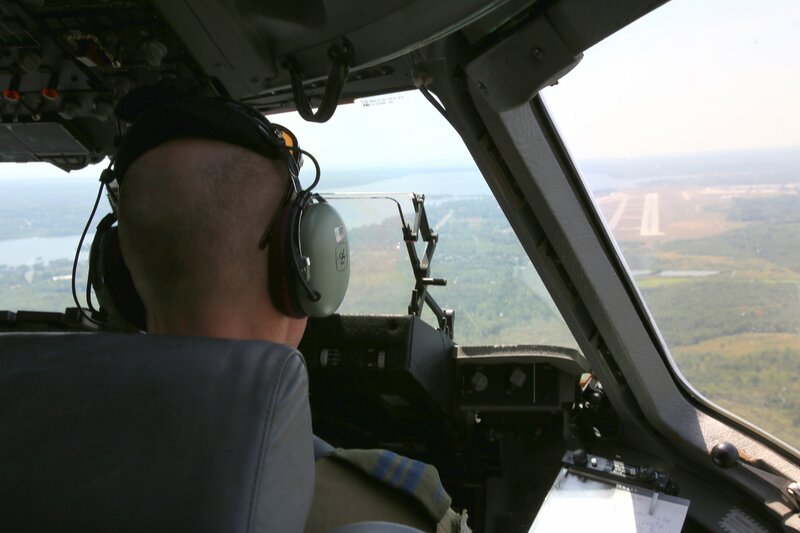 The Head-Up-Display (HUD) system, in front of the pilots, operates as the CC-177 makes a steep tactical descent into Runway 24 at CFB Trenton. The small side joystick allows Maj. Duffy to make smooth inputs to the control stick and be closer to the mission computer displays. 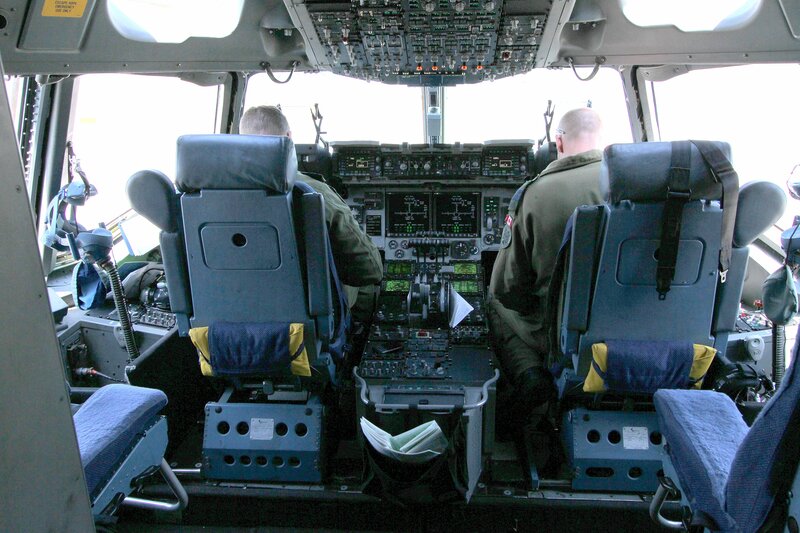 The cockpit of the CC-177 is quite spacious with two jump seats behind the pilots. 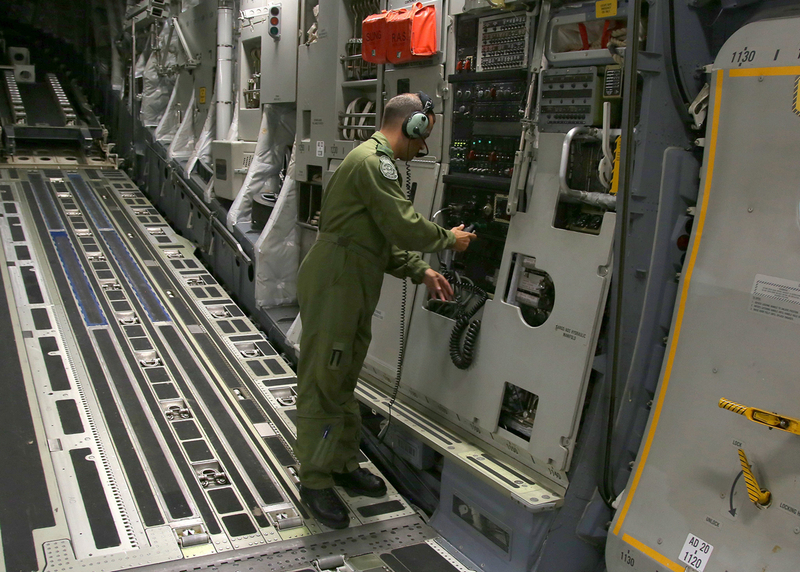 The large cockpit of the CC-177, high above the cargo hold, is accessed by a ladder and is quite spacious with two jump seats behind the pilots, and two bunks in the rear along with three more seats. 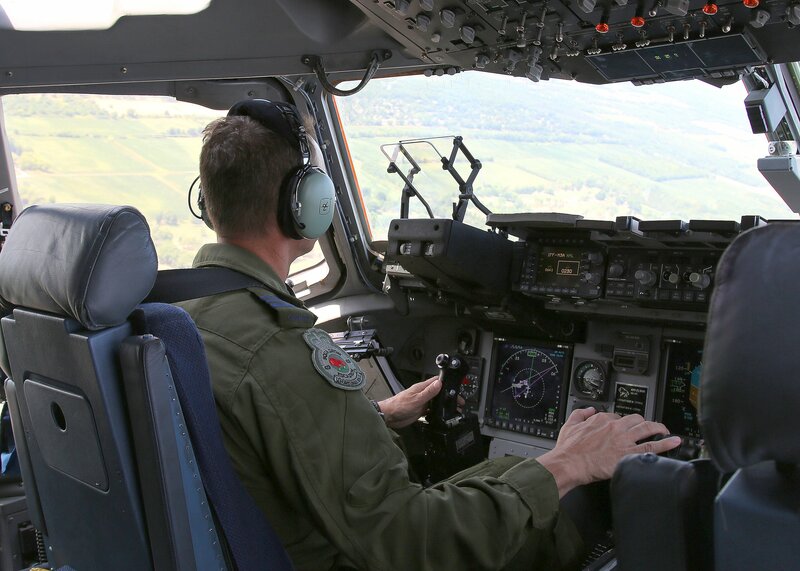 From the perspective of the jump seat, several features of this state-of-the-art, fly-by-wire aircraft were more reminiscent of a fighter jet than a heavy airlifter. Along with the advanced digital avionics system there was a small side joystick instead of the yoke that one usually finds on a “heavy” transport aircraft. This side positioning allows the pilot to make smooth inputs to the control stick and be closer to the mission computer displays. There is also a Head-Up Display (HUD) system in front of each pilot that dramatically enhances flight safety by providing situational awareness on the approach and landing phase of the flight and also on the initial climb after take-off. 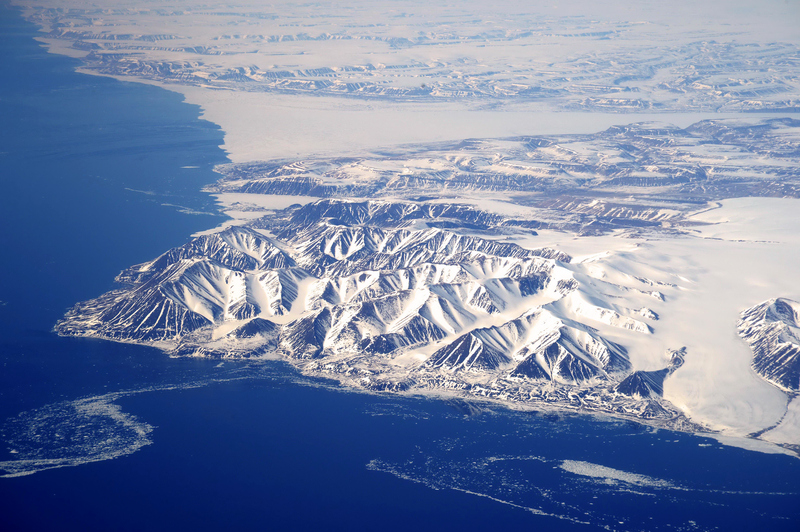 In 2009, RCAF 8 Wing Trenton took command of Canadian Forces Station Alert, a signals intelligence intercept facility, located on the northeastern tip of Canada’s Ellesmere Island only 508 miles (817 km) from the geographic North Pole. 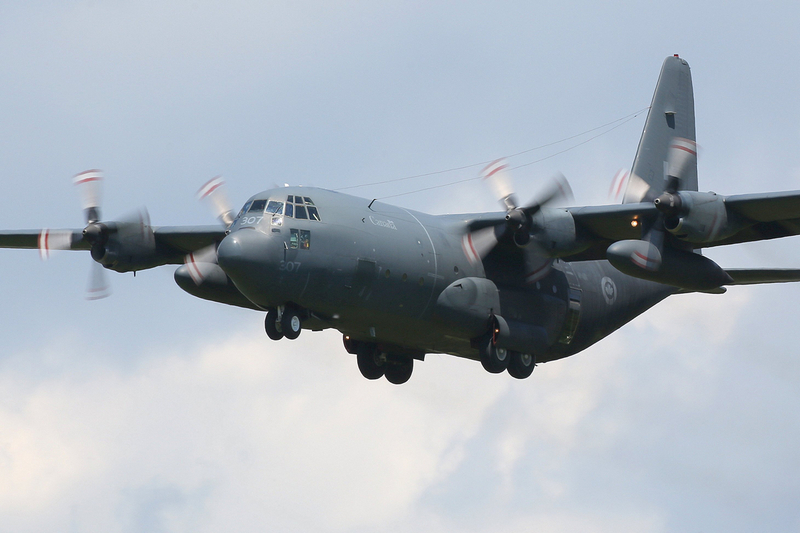 This is the most northerly permanently inhabited location in the world and is supplied weekly throughout the year by the C-130J Super Hercules tactical transports of 8 Wing’s 436 (T) Squadron. 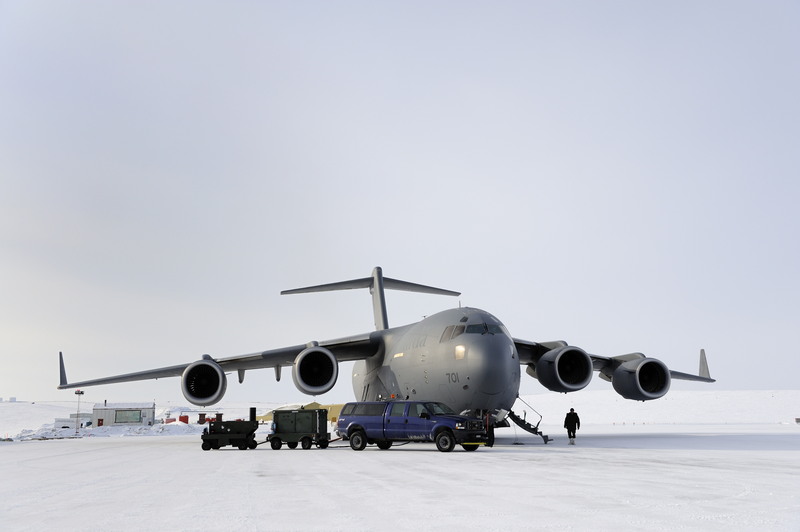 In addition, the CC-177s of 429 (T) Squadron are tasked to fly the seven hour direct flight, from CFB Trenton to this high Arctic station, when a bulky or special cargo is required at Alert. Every destination has its inherent obstacles and challenges and the CC-177 flights, to this destination at the top of the world, are no exception. 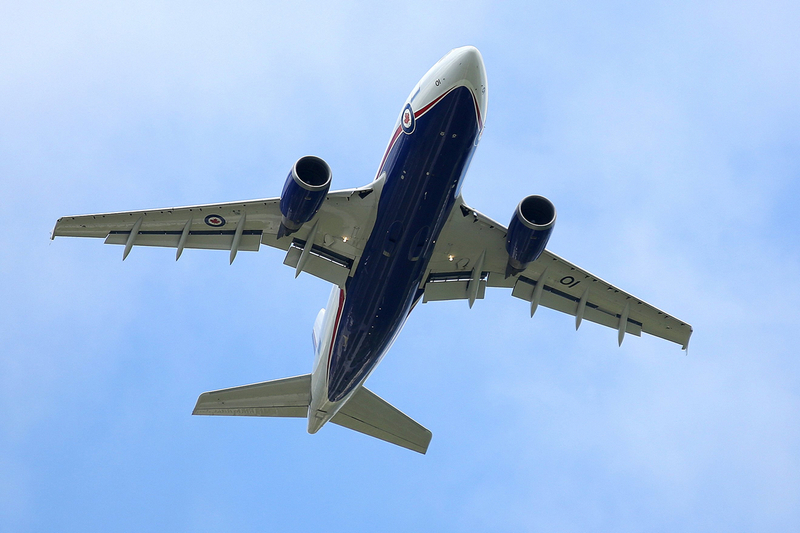 Some of the potential problems the flights face are the rapidly changing extreme weather conditions, uncontrolled airspace, a lack of alternative airfields, and things not working or operating as well as they do down south. The challenges are especially daunting during the winter months when CFS Alert experiences high winds, extreme cold and is in total darkness 24/7. 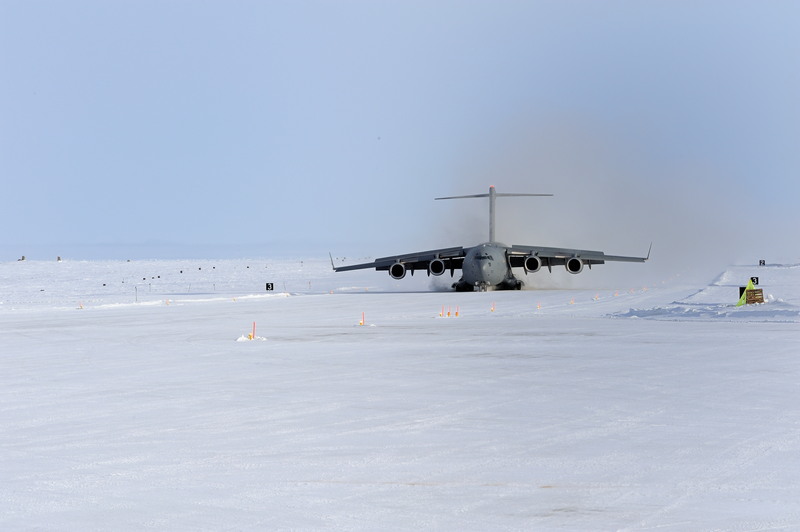 In these extreme conditions the pilots of an inbound Globemaster III have to set up for a precision HUD-aided tactical landing to the threshold of the slippery 5,499 ft (1,676 m) long ice-and-snow-covered gravel landing strip and then depart with a maximum performance static take-off. MCpl. 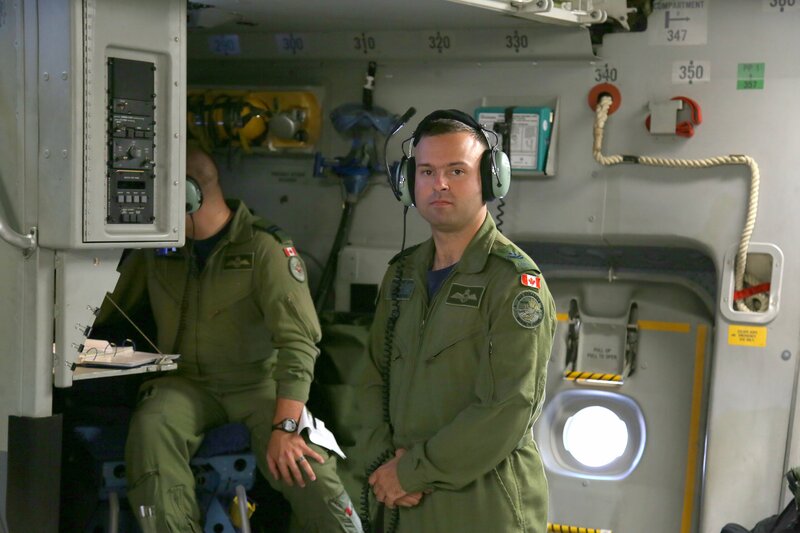 Guy Fortier, the loadmaster for this training mission, is the third member of the CC-177’s crew and he has a work space underneath the flight deck, at the head of the jet’s cavernous hold. Loadmaster MCpl. Guy Fortier has a work space underneath the flight deck, at the head of the cavernous hold. 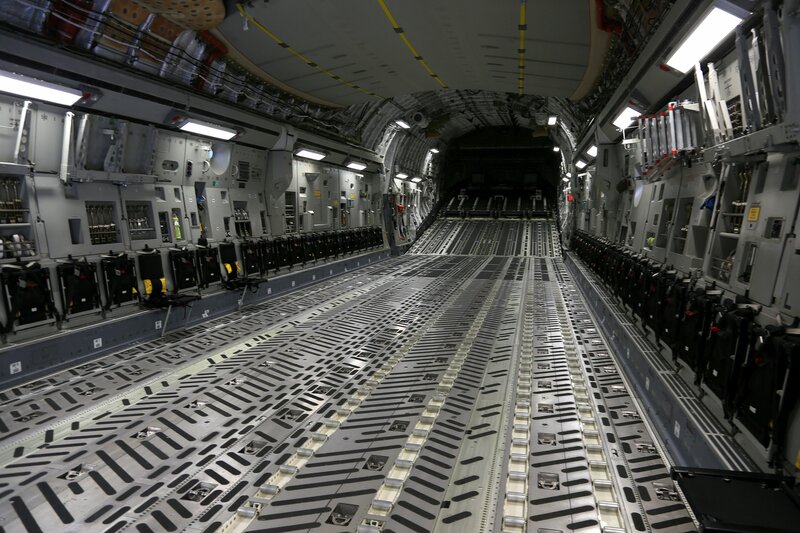 The cargo compartment is 88 feet (27 m) long by 18 feet (5.5 m) wide by 12 feet 4 inches (3.76 m) high and the cargo is loaded through a large aft ramp. The cargo hold can haul rolling stock, such as a 72 tons (65 metric tons) Leopard 2 tank, other armored vehicles, trucks, and trailers, along with helicopters, paratroops and mixed cargo. The loadmaster is a highly trained individual who starts out as a traffic technician (known in the US as an aerial porter) and becomes proficient in all aspects of loading and off-loading various types of cargo, including dangerous goods and passengers. Then, after a 12-week basic loadmaster course at Altus AFB in Oklahoma, has six months of operational training before becoming a qualified loadmaster. 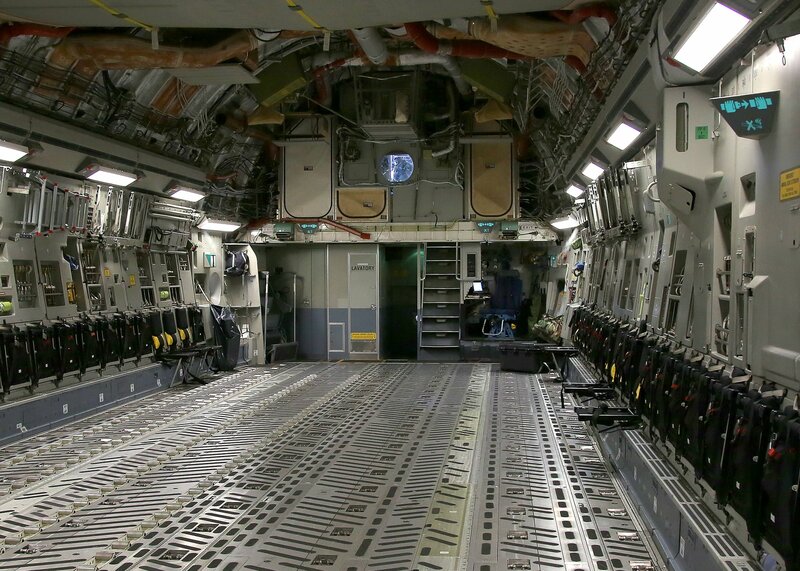 The loadmaster is also involved in assisting the flight crew in some of the aircraft’s special tactical ground operations. 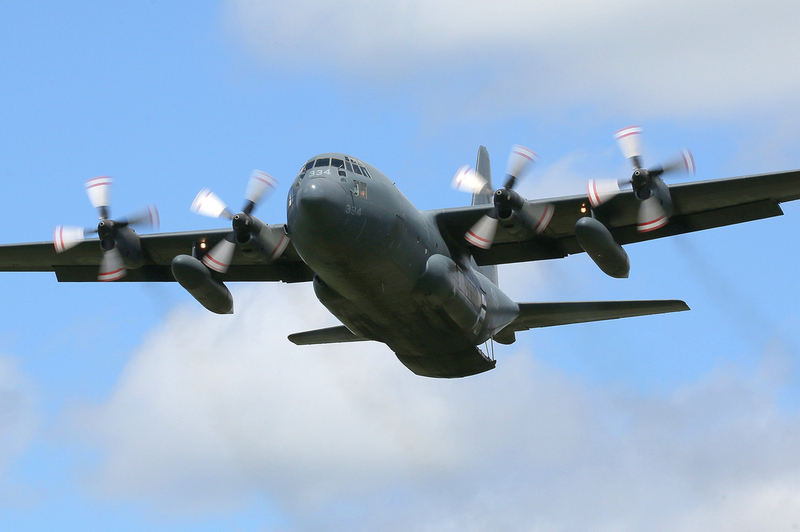 For example, the combat offload procedure takes place when the aircraft lands in an austere location, with limited or no offloading capabilities. 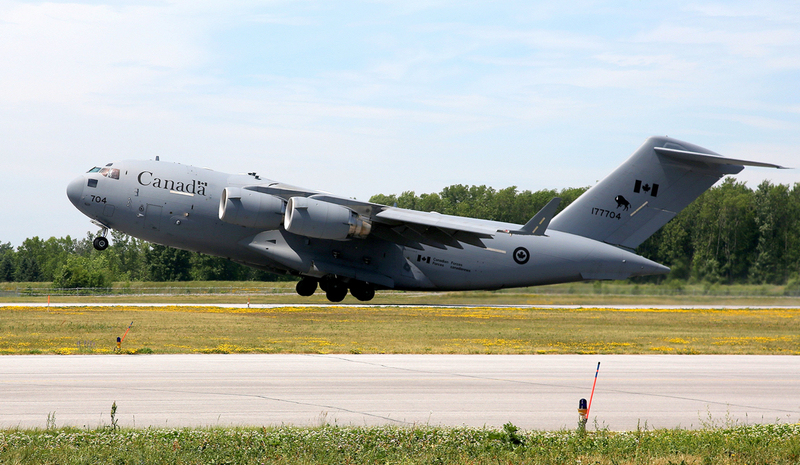 The afternoon’s training operation for this simulated combat offload took place at CFB Trenton after the CC-177 had landed and taxied to the adjoining taxiway. 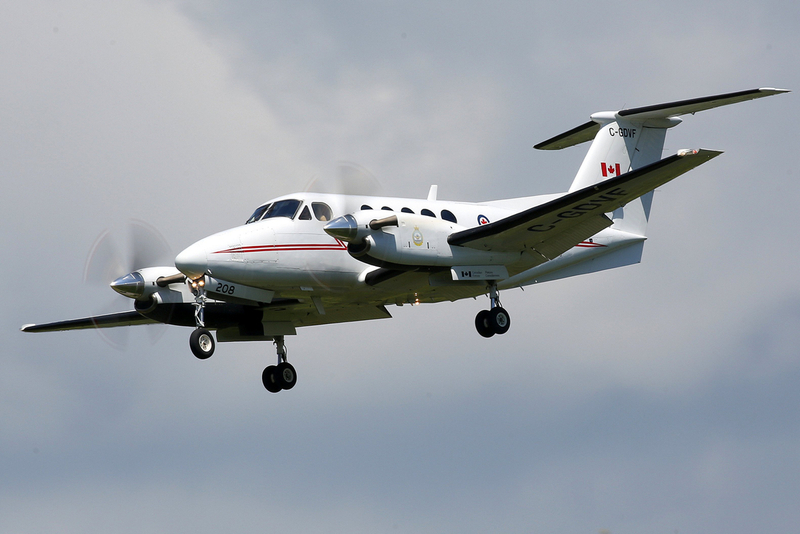 When the aircraft had come to a complete stop, the loadmaster lowered the rear ramp and the pilot ran up the engines to maximum thrust power. The loadmaster then quickly released the locks on all the cargo pallets and, as soon as this was done, the pilot released the brakes and the aircraft surged forward. The effect is like the magic trick where the tablecloth is ripped off the table without upsetting the dishes. Same principle – the aircraft is pulled out from under the pallets. The three-point star turn is another unique ground manoeuver in which the loadmaster plays an integral role. 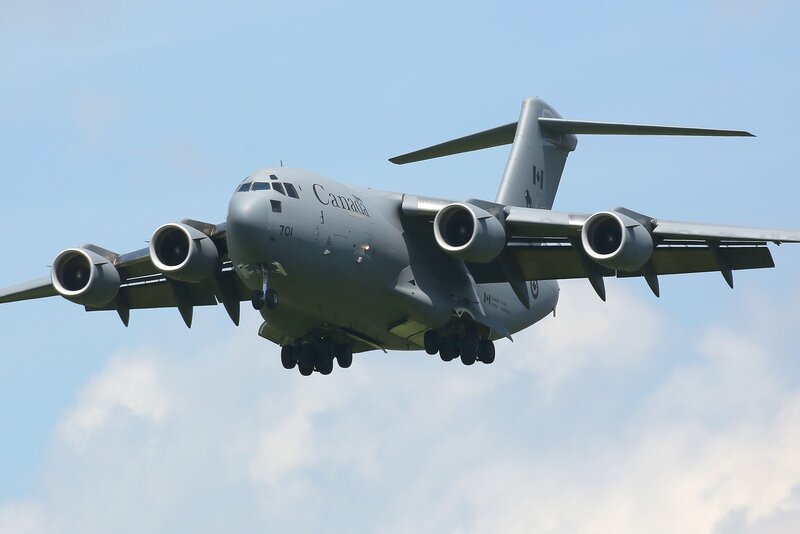 This particular manoeuver took place at CFB Trenton/Mountainview after the CC-177 had completed a steep tactical landing and had come to a stop at the end of the narrow runway. 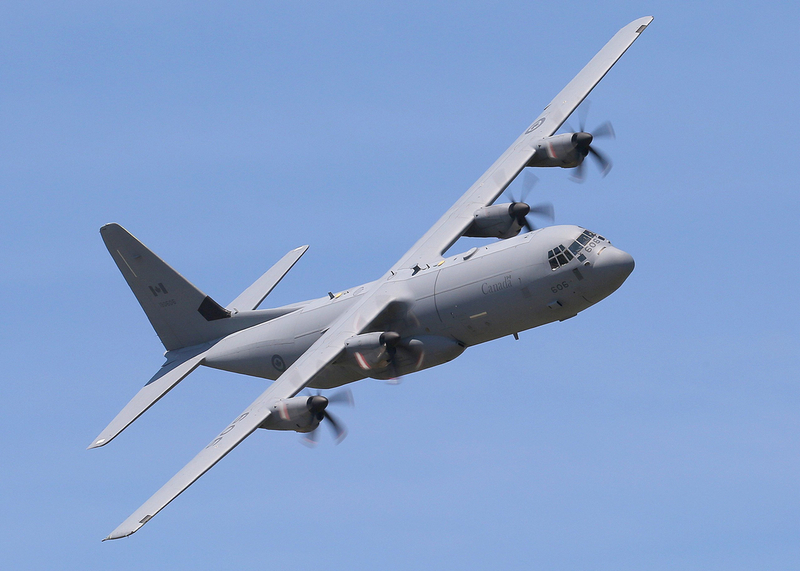 As the two pilots set the aircraft up to execute a 180 degree star turn on the runway, the loadmaster lowered the ramp and positioned himself at the rear of the aircraft. He then became the pilot’s “rear-view mirror” and relayed the distances remaining to the edge of the runway as the aircraft’s backing-up ability was used to safely perform a three-point star turn. 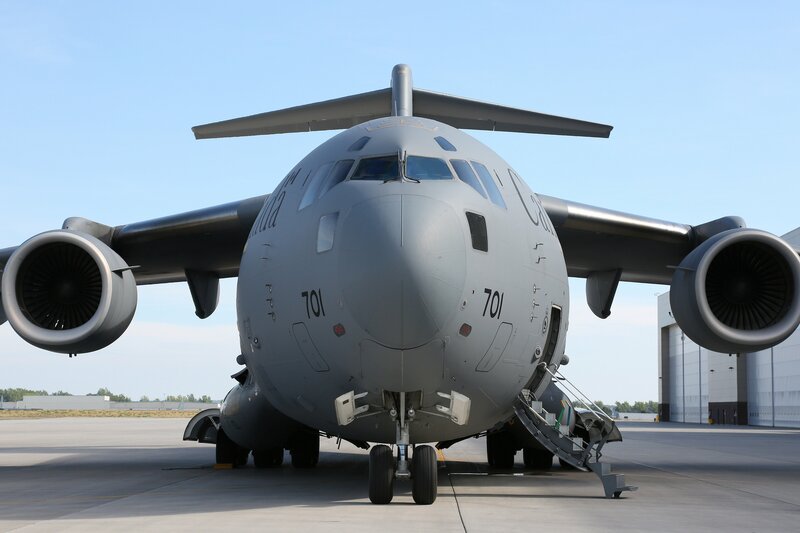 The CC-177’s ability to fly long distances and land in remote airfields makes it a premier transporter for military, humanitarian and peacekeeping missions. 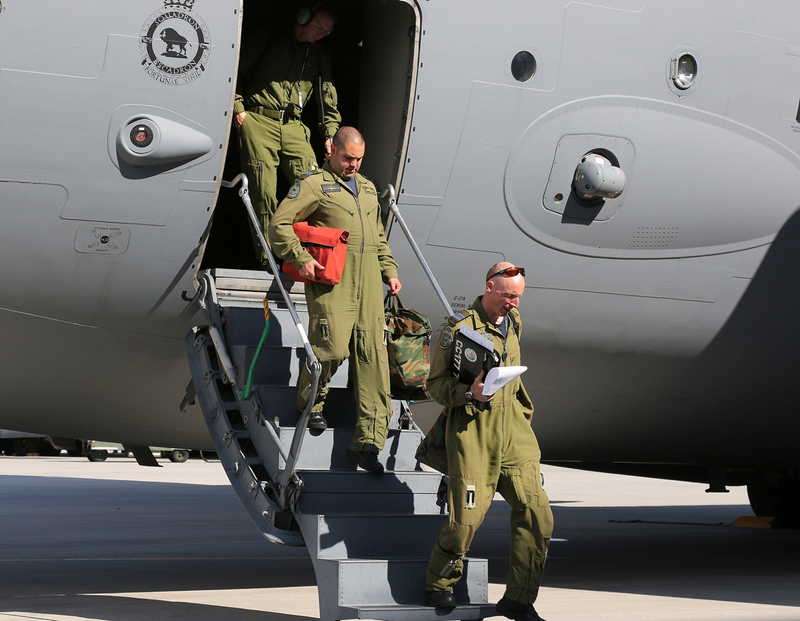 In the last ten years, the men and women of 429 (T) Squadron have flown humanitarian relief missions to disaster-stricken countries around the world. The scope of this aircraft is unparalleled by any strategic airlifter Canada has ever flown before and, during the afternoon’s CC-177 training flight, there were many opportunities to appreciate the unique capabilities of this massive aircraft. 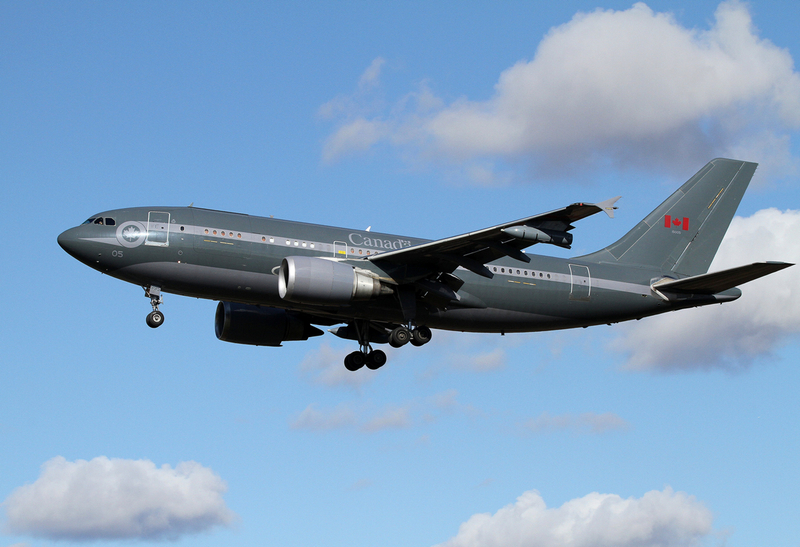 From a performance point of view, there is really no other aircraft in the world that can touch it as it is an incredibly nimble and versatile military workhorse, fully operational with a crew of three. These “Bisons” are rapid, reliable and flexible. 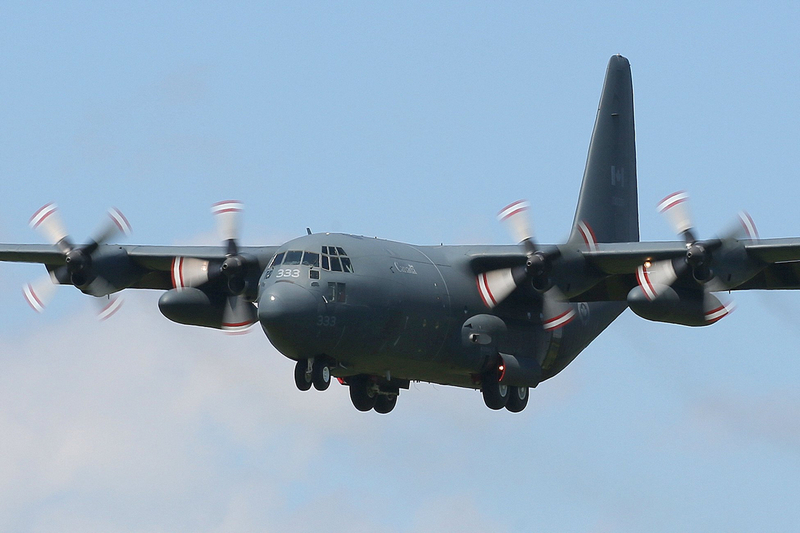 What other aircraft can haul three CH-146 Griffon helicopters with refueling tanks, or one Leopard 2 tank, or as many as 102 paratroopers and land on the same unpaved runways, in remote locations, as the smaller C-130 Hercules? 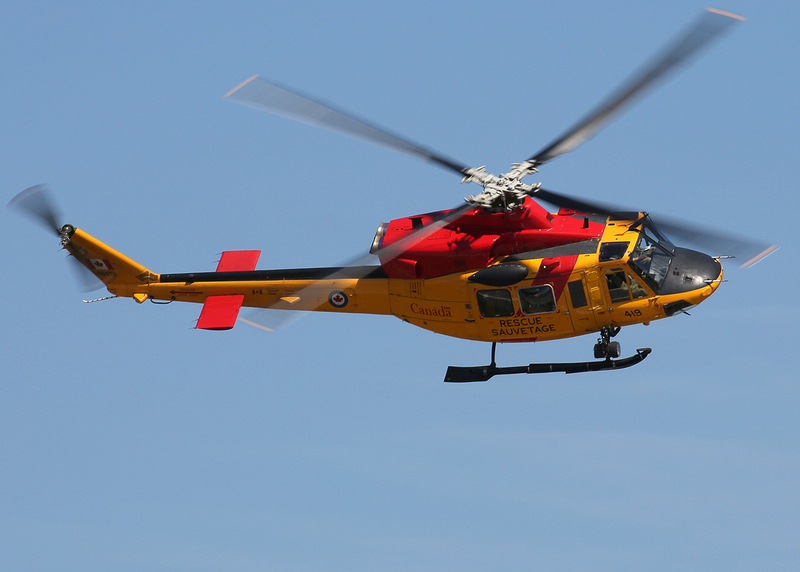 APD would like to thank Maj. Christian Hirt (SE-7 CC177), Transport and Rescue Standardization and Evaluation Team (TRSET), 1 Cdn Air Div HQ Det Trenton and 2Lt. 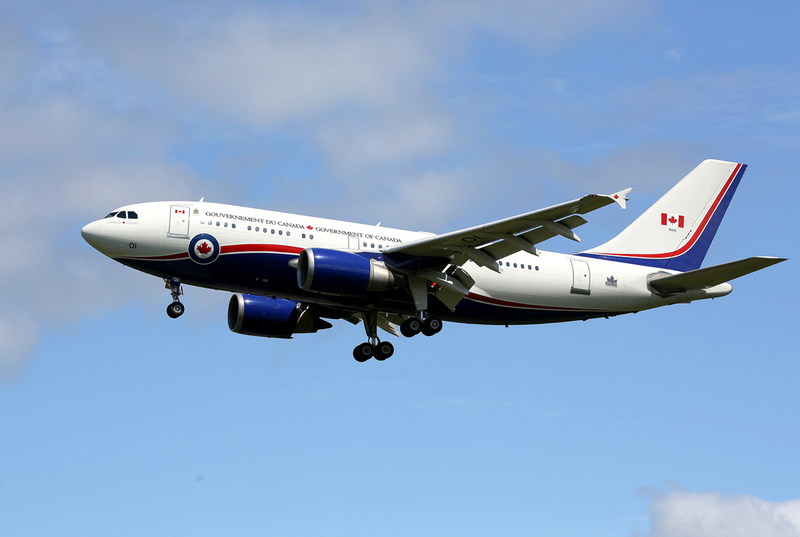 Jennifer Howell, 8 Wing Public Affairs, Canadian Armed Forces, for their assistance in making this photojournal possible. It was most appreciated! 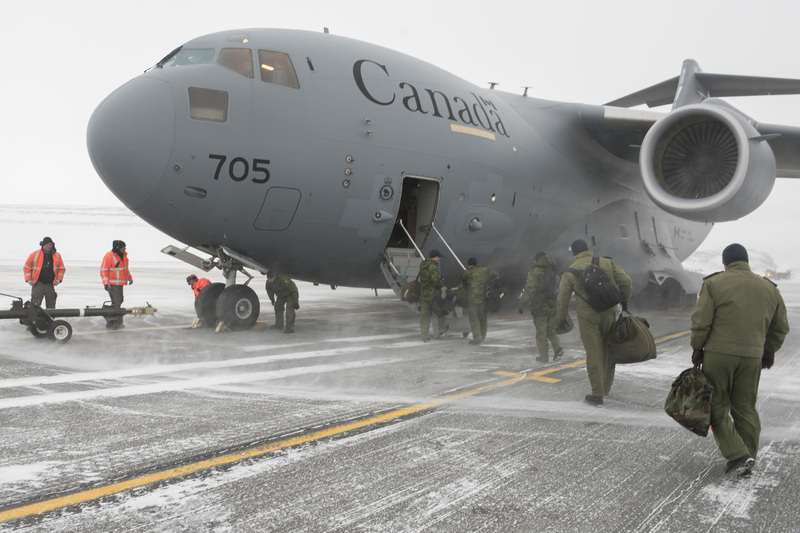 The CC-177 training flight crew disembark the aircraft. Three CC-177s parked on the 429 Squadron’s ramp. 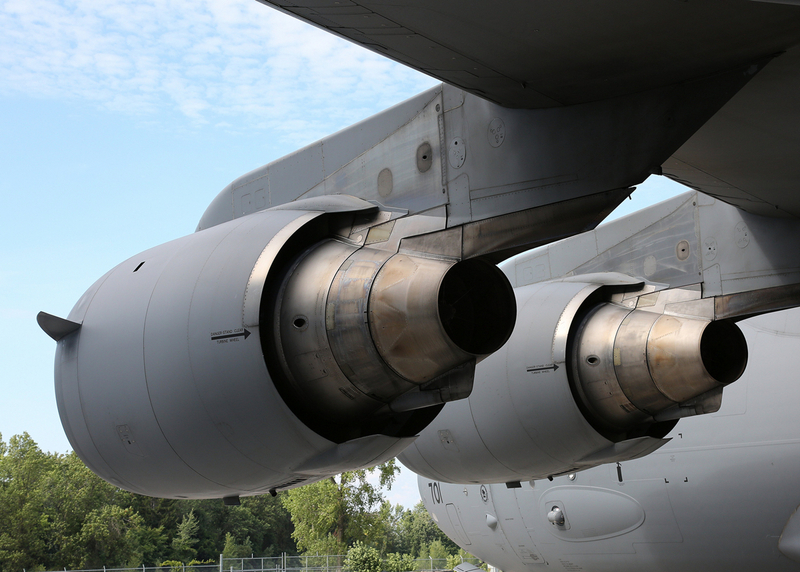 The C-17 is powered by four Pratt & Whitney F117-PW-100 turbofan engines with each engine rated at 40,400 lbf (180 kN) of thrust. CC-177 (177701) 429 (T) Squadron “Bisons” with low-visibility markings on tail. 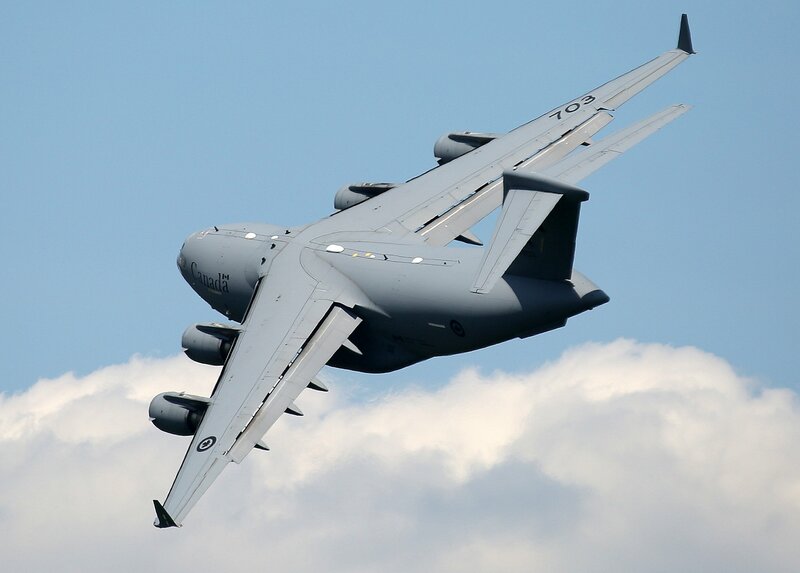 CC-177 Globemaster III launches with a maximum performance take-off. 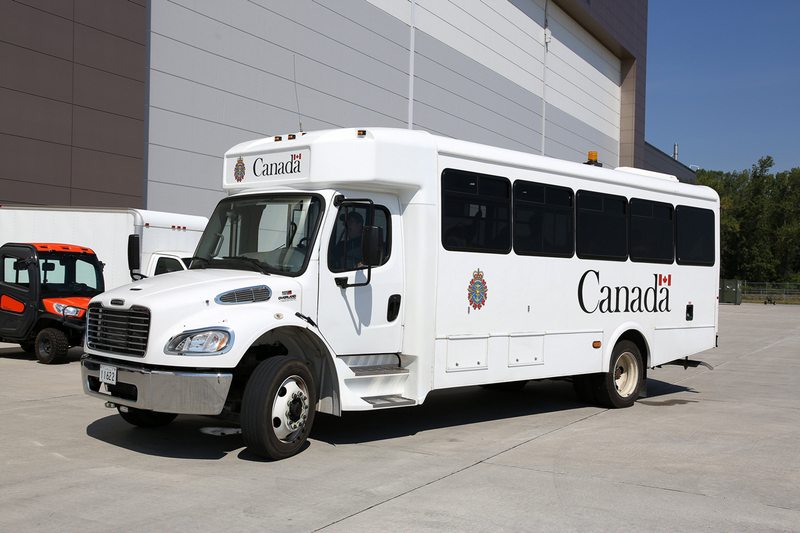 RCAF crew bus in front of the 429 hangar. 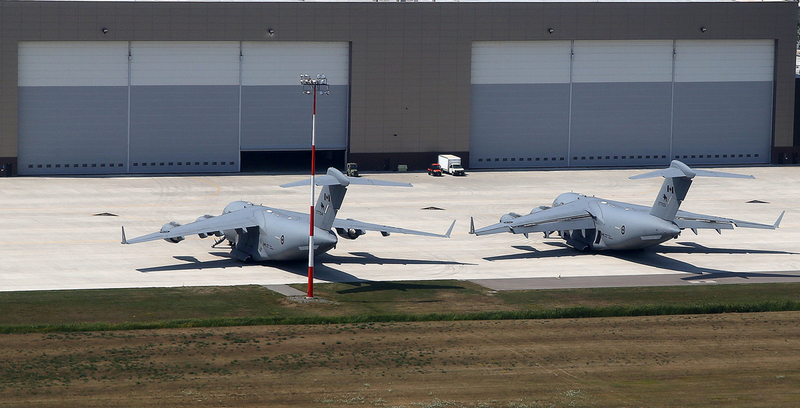 Two 429 Squadron’s CC-177 s on the ramp in front of the hangar. 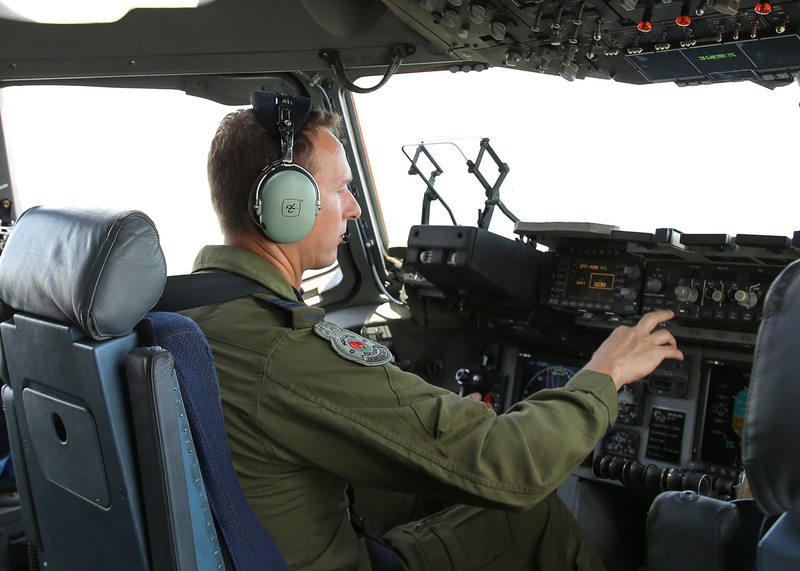 Maj. Duffy at the controls of the CC-177. Loadmaster MCpl. Guy Fortier acting as the “rear view mirror” during the back-up operation. Loadmaster MCpl. 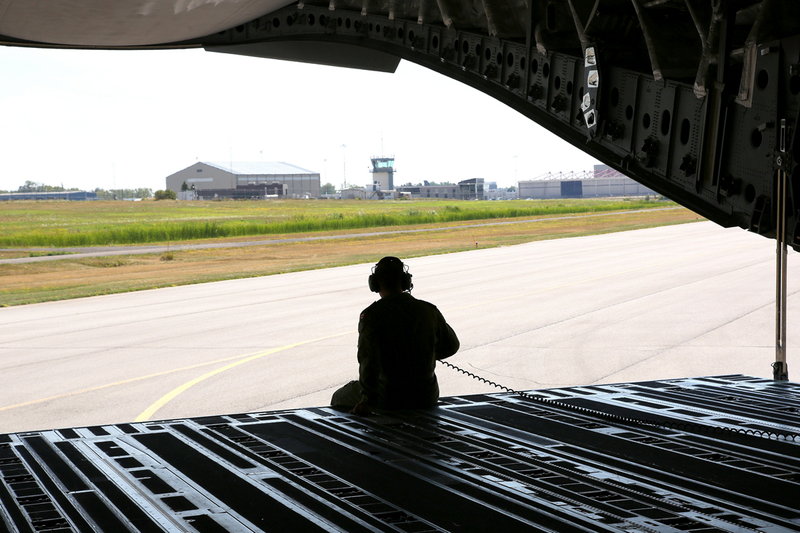 Guy Fortier lowers the aft ramp prior to the backup operation. 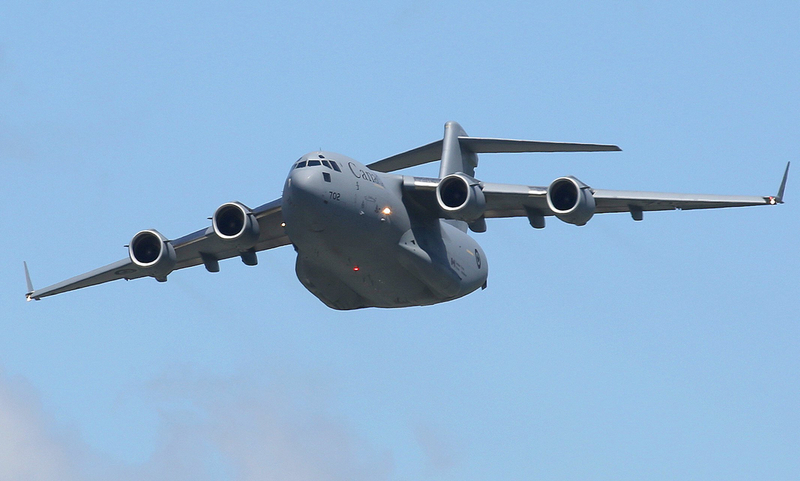 The CC-177 has a cruise speed of about 450 knots (830 km/h) (Mach 0.74). 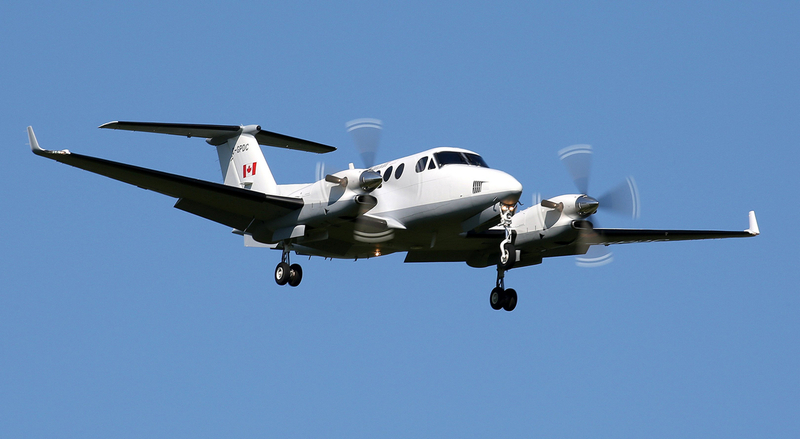 For cargo operations the CC-177 requires a crew of three: pilot, copilot, and loadmaster. 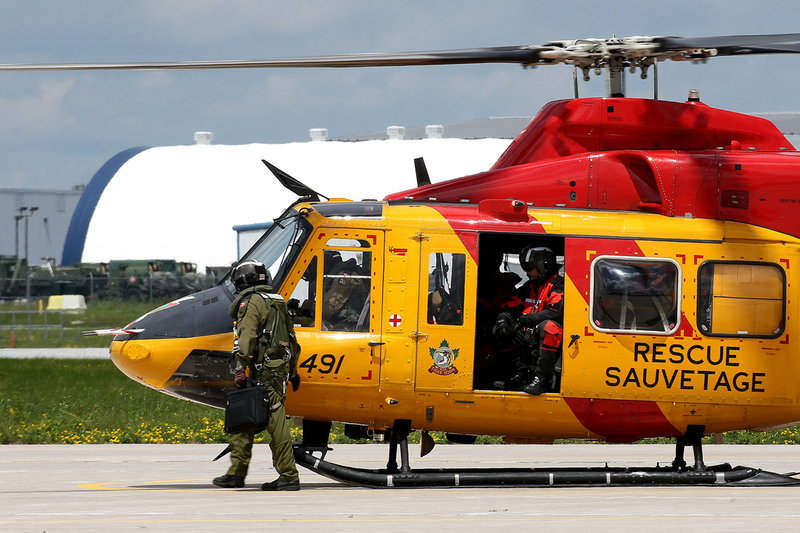 Bell CH-146 Griffon "Rescue 491" RCAF 424 Transport & Rescue (TRS) Squadron "Tigers"
Lockheed Martin CC-130E Hercules RCAF 424 Transport & Rescue (TRS) Squadron "Tigers"
Lockheed Martin CC-130H Hercules RCAF 424 Transport & Rescue (TRS) Squadron "Tigers"